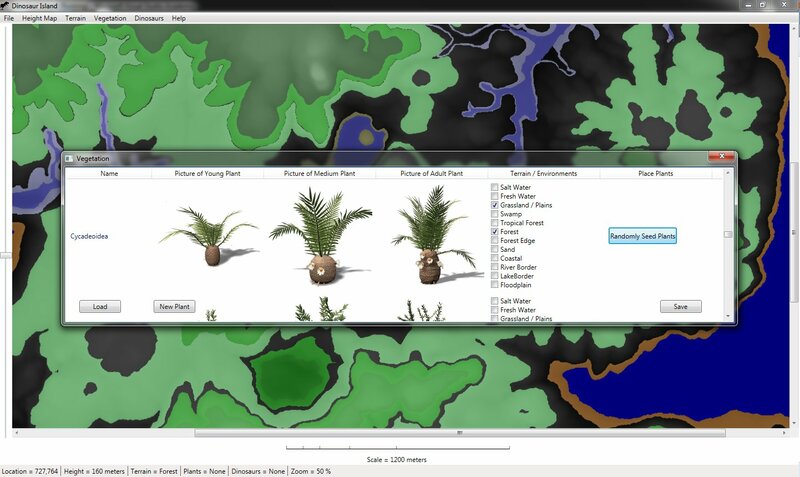 I’ve just finished the basic tools for creating the island, indicating terrain types, ‘planting vegetation’ and am now working on the food chain models (for Dinosaur Island). 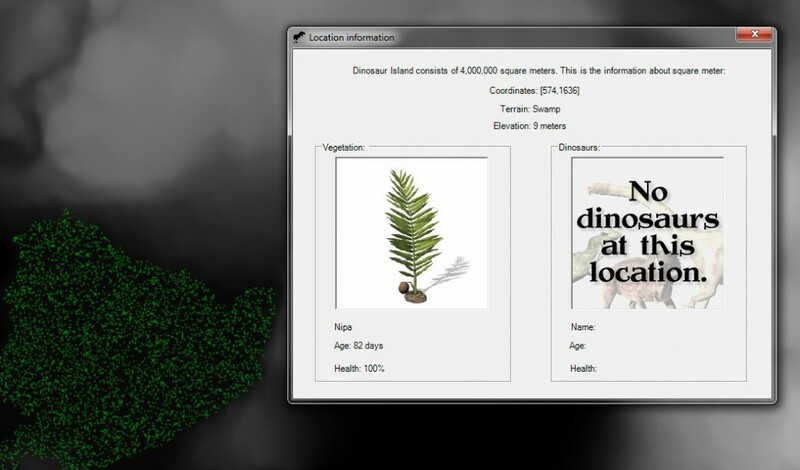 After that the next job is actually creating the AI for the dinosaurs. I’ve been thinking: after creating AI that can perform tactical analysis as quickly and accurately as human subject matter experts (see TIGER: An unsupervised machine learning tactical inference generator) writing the AI that controls giant herbivores and T. rex (the jury is still out if T. rex was a hunter or a scavenger) seems like it will be pretty easy. Indeed, my thoughts last night were that I need to keep the AI really simple and not to over-think the problem. In turn-based game AI (like chess) we use the term ‘ply’ to indicate one move by one side. For example, if in chess, white makes a move and then black makes a move that is “two plies”. When Garry Kasparov was asked how many moves ahead he thinks he replied, “… that it depended on the positions of the pieces. “Normally, I would calculate three to five moves,” he said. “You don’t need more…. But I can go much deeper if it is required.” For example, in a position involving forced moves, it’s possible to look ahead as many as 12 or 14 moves, he noted.” (Ivars Peterson’s MathTrek). With dinosaur AI we’re definitely looking at 1-ply thinking; that is to say, dinosaurs didn’t think ahead at all. I will probably implement some form of ‘finite state machine’ (FSM) AI for the dinosaurs. With FSMs the dinosaur will always be in some ‘state’ (no, not Montana or Iowa). Typical states for a dinosaur are: finding food, eating food, sleeping and reproducing. One of the problems with FSMs is the transition from one state to another. Frequently, NPCs (Non Player Characters) in games are driven by FSMs. This is why NPCs often behave so ‘woodenly’. A guard will either just stand in front of the cave entrance or march back and forth until something ‘trips’ (frequently it’s the player crossing an invisible tripwire) and the guard transitions to another state (attack the player). However, I’m thinking that dinosaurs really behaved that way: they had one thought – or better, ‘goal’ – at a time and that was it. No reasoning. No advanced planning. No cunning. Just input and reaction. 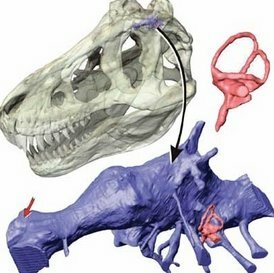 I’ve been reading a lot about dinosaurs recently (I really recommend The Complete Dinosaur, by the way) and looking at castings and reconstructions of dinosaur brains. Dinosaur brains were very primitive. The largest part of their brains were involved with input (usually smell but sometimes visual). They just didn’t have the resources for deep analysis. 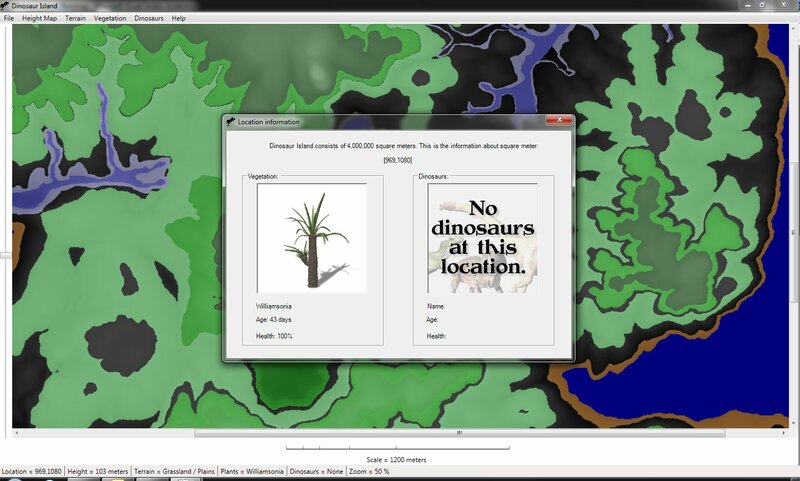 So, for dinosaur AI, the key is going to be KISS: Keep It Simple Stupid. UPDATE: I just read in Dale Russell’s, “Islands in the Cosmos: The Evolution of Life on Land,” “Observations on the learning capacity of crocodiles and lizards may provide some insights into dinosaurian learning abilities. Motivated by food, large Cuban crocodiles… have been trained, on command, to approach with their bodies off the ground, lunge upward from a bipedal position to retrieve bait, and then withdraw to water. Beginning with the third trial, they will approach when called by a name that has been applied to each reptile individually, and they can thoroughly master the procedure within 10 training sessions (Morrissiey et. al. 200; Morrissiey and Sancez 2004)” – p. 310. 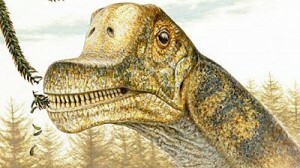 So that certainly indicates that dinosaurs, especially predator dinosaurs, may be smarter than we thought. I had planned to track, for each dinosaur, the last five locations where it found food. 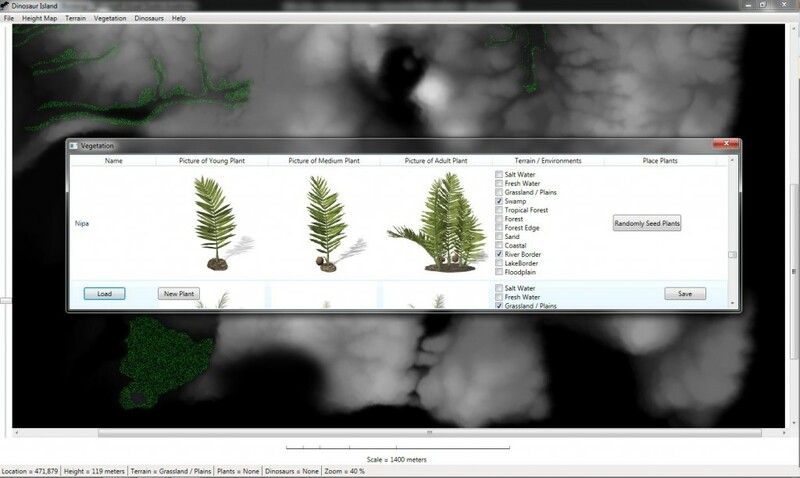 Hopefully, this will create a more accurate dinosaur AI.